"I found the service to be above what I was expecting, starting with the first phone and face-to-face conversation. Ferrari 355 - a stunningly beautiful car. I have to say the whole service is excellent, going the extra mile and then some in terms of quality and service. I would recommend Gary and the team to anyone who is looking for that little bit extra in terms of quality and overall service. Thanks for giving 110% and I will bo only too pleased to pass your name on to anyone I meet. "This is the second time I have used Clean Image and I am very pleased with the results. The staff were polite and very efficient ensuring I got what I actually wanted. 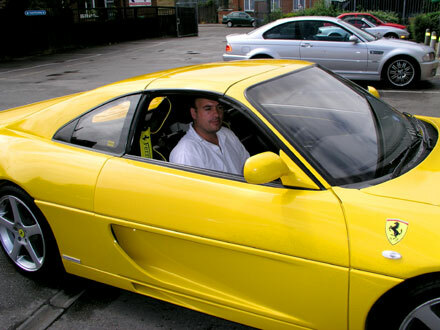 The car was ready for collection at the agreed time and completed to a high standard. I shall definitely be returning and have already recommended Clean Image to my colleagues." "I was very impressed with the great customer service I received when I brought my car to Clean Image. The work I had carried out (dent repairs and valet) was done in excellent time and the finish was fantastic. My car looks like new again. 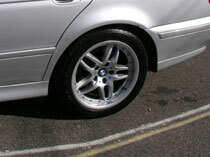 "After the alloys had been refurbished we decided to go for a Silver Valet with some extras. Once again, I can only compliment the staff for their pleasant and courteous attitude. Nothing seems to be too much trouble and they were happy to discuss every procedure in as much detail as required, not surprising the work was of the highest standard and we are comfortable that our money was well spent. Well done Gary and team. Again we would not hesitate to give you our highest recommendation "
"Good service, with friendly smile"
"Excellent service good advice given, what the dent and repair involved. staff were polite and courteous at all times. Mark was very helpfull and made me feel the trip was worthwhile. I have recommended the service to friends, and in the words of Arnie, 'I'll be back!'. " 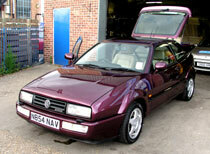 "My car looked fantastic after Clean Image had valeted it. It's 10 years old and was looking a bit shabby inside and out. Now all the scuffs are gone from the paintwork. It's really shiny and the leather inside is so clean it looks fantastic. I was impressed with the the guys who explained exactly what they they would be able to do - and also what they couldn't do, as well as explaining all the costs very well. 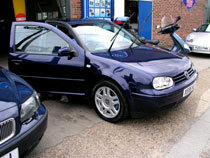 I would definitely recommend Clean Image to anyone wanting to improve the appearance of their car. " "Very pleased, the car looked great." 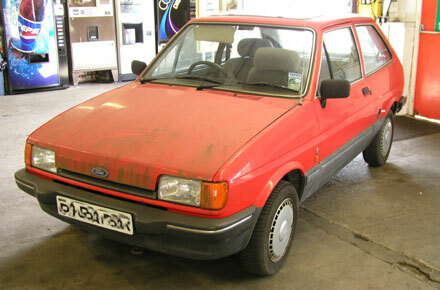 "I am once again the proud owner of a Ford Fiesta. Although a much loved ancient chariot, my car was stolen, picked up by Police, condemned, then rescued and after these many adventures, given a 'make-over' by Clean Image. It now has the appearance of a new carwith which I am absolutely delighted. Many, many thanks Clean Image." 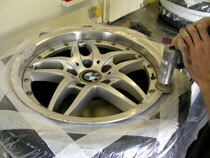 "I was most impressed with the excellent job that Clean Image did on refurbishing my BMW alloy wheels. The staff were very helpfull and courteous. I would strongly recommend Clean Image and hope to try thier valet service soon. "